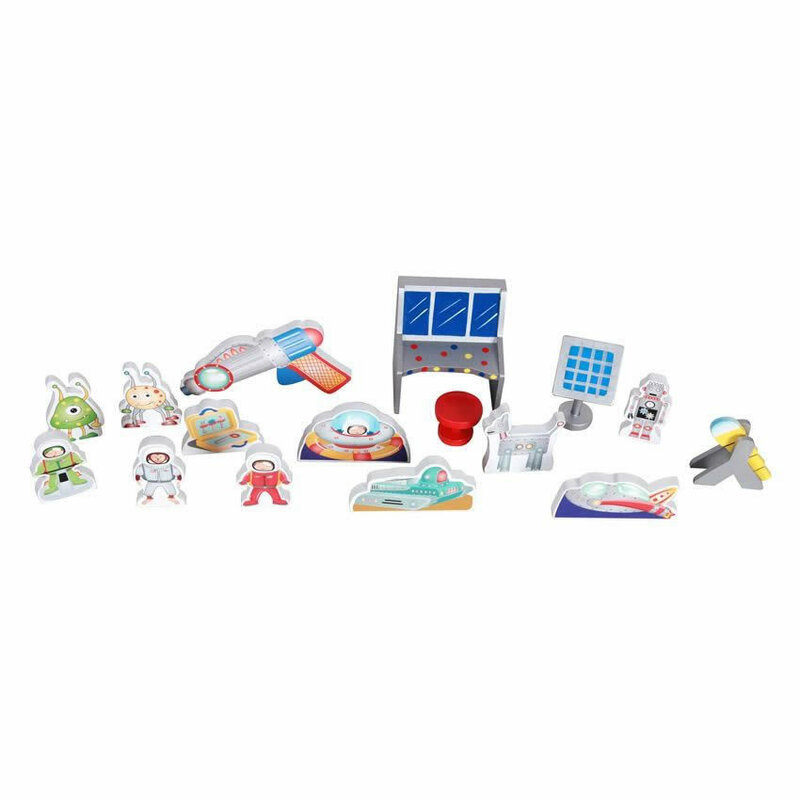 11151A - Rocket Bookshelf w/Figurines - Blast off into the outer limits of your imagination with our Rocketship Bookshelf Playset! 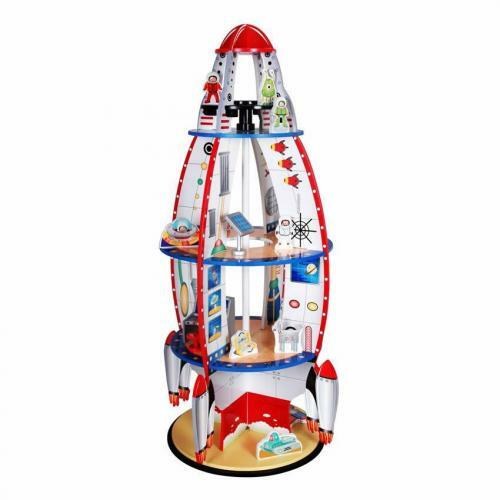 4 story rocket ship is invaded by alien figurines carved from real wood, astronauts, and fun rocket ship play pieces to bring the bookshelf to life. Hand crafted and carved, this three dimensional bookshelf offers a sturdy place to store your children's books. The decorative unit will bring your child's imagination to life and promote higher learning.